The date September 11 carries with it horrific memories for the people of this country. And for my friend, Lynne Kirwin, September 11 is the day she remembers with sadness because that is the day her mother died. And for me and my family, we also remember September 11 with sadness as that is the date Mark died two years ago. So today, on September 11, as I drove from Roanoke to Philadelphia, I drove around Baltimore and thought about trying to find the place where Mark and I met. I just wanted to drive there and sit for a bit. I stopped at a Rest Area and tried doing an internet search to find the place we met, but I just didn’t have enough information. Maybe it doesn’t exist anymore. There was one slightly promising place, but it was far off my path and it was pouring rain, Since I wasn’t sure where I was going and the weather was so miserable, I made the decision to travel on. 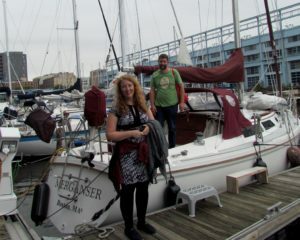 I arrived in Philadelphia just after 4 pm, drove to the designated place on the waterfront, and Kevin and Claire were there to meet me. Spending this particular evening with them was very special. Mark, as well as myself. always counted Kevin and Claire as two of our very best friends despite the differences in our ages (Kevin and Claire are the age of our children). And in addition, years ago Mark and I ‘adopted’ them as part of our family. So, it was fitting that I would spend the evening of September 11 with them. It was also very special because Claire’s parents were visiting from Canada. 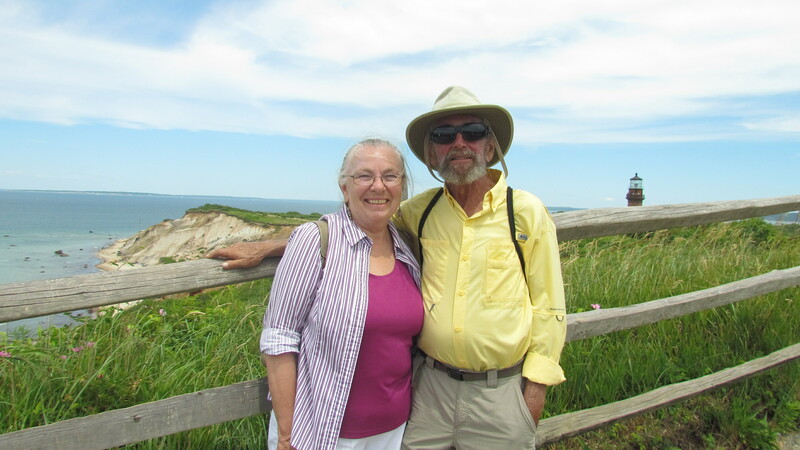 We met in the summer of 2004 when Windbird and Merganser, Kevin and Claire’s sailboat, traveled to Maine on vacation with Claire’s parents aboard. 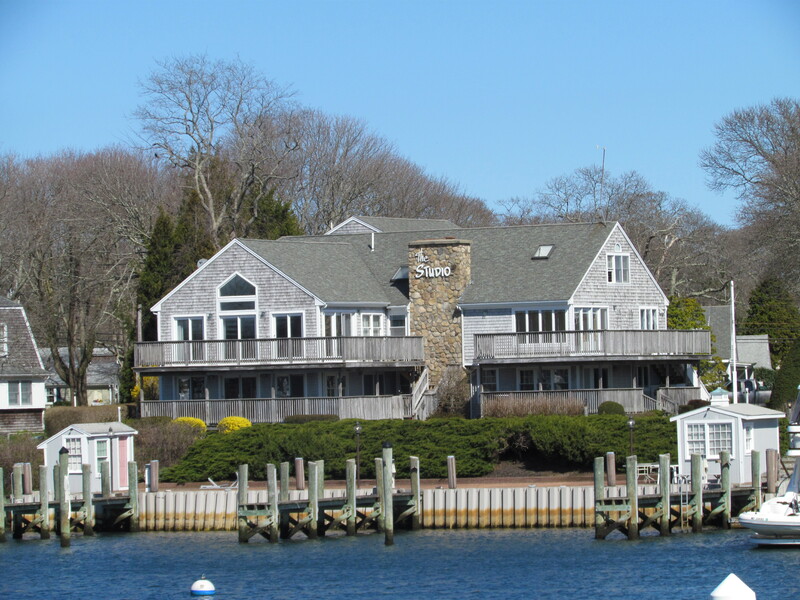 When I first arrived, Kevin went with me to park the car and then we walked to the marina where he and Claire live aboard Merganser. Their slip is the very last one at the end of the dock which puts them right on the Delaware River. It is a fantastic location. We got my things aboard and then walked back to the parking lot to their new-to-them Roadtrek motorhome and Claire’s parents met us there for Happy Hour. The 2015 motorhome is quite fancy and perfect for a traveling couple. Right now it serves as Claire’s home during the week. 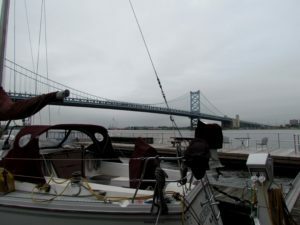 This spring Claire took a position at Princeton University in New Jersey and Philadelphia was the closest place where they could live aboard Merganser. She commuted for a bit, but the rush hour traffic made it a difficult commute. When they found this motorhome on the internet, it seemed the perfect solution. 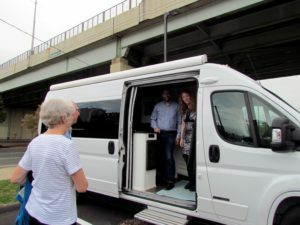 Claire drives it to Princeton, uses it as her traveling home for the week, and then returns to Philadelphia for the weekend. It looks brand new and is bright while. 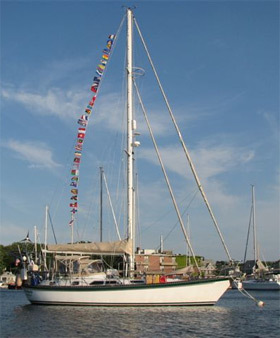 Staying with the bird theme (their sailboat is named after a duck), they named it Ptarmigan. After Happy Hour with Claire’s parents, we all walked to Society Hill to have dinner at the Malbec Argentine Steakhouse Restaurant. Society Hill still has its original cobblestone streets. It is absolutely charming, as well as historical. The dinner was to celebrate Kevin’s birthday which is on Friday. He and Justin were born on the same date, just three years apart. Our toast was to Kevin . . . and to Mark. We had a wonderful dinner and then went walked to an old-timey soda fountain where the staff wears bow-ties as they dish out the ice cream. Wonderful evening with wonderful memories of Mark.